White-sand beaches stretching along the coast speckled with palm trees, waking up to the sound of the sea and the smell of salt in your hair, the taste of magic and adventure filling up the air as you’re strolling through the emerald-green tea plantations perched on the gently curved hills… Sri Lanka’s reputation as a travel destination may be slightly overshadowed by the neighbouring India, but that’s precisely where its magic lies. A road less travelled amongst spiritual seekers flocking to India , Sri Lanka’s culture and natural beauty are guaranteed to charm you. My sentiment towards the pearl-shaped island is particularly strong, as Sri Lanka is one of the countries I visited on my first big solo adventure that sparked my love for travel. In 2010, I quit my perfectly stable office job, reduced all my belongings to a couple of boxes that I put away in storage, packed my bags and headed off on a five month trip to South and South East Asia to experience the taste of freedom and adventure that neither education, nor a stable job were able to offer me. 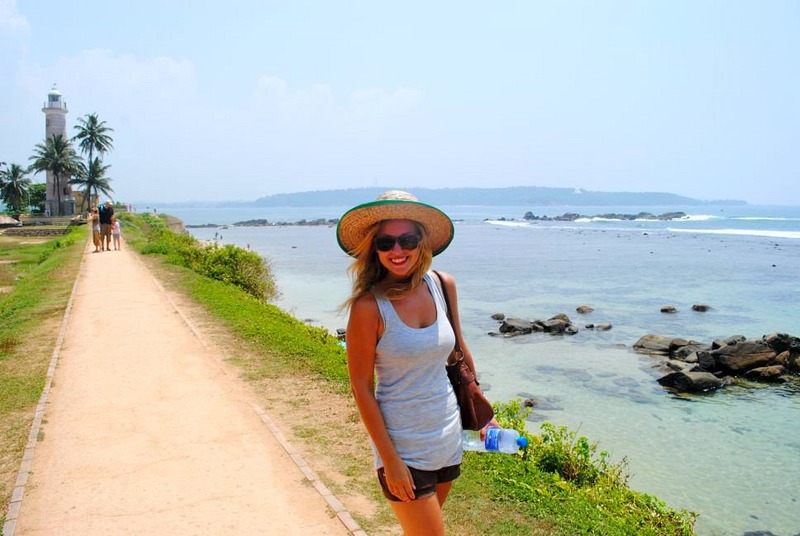 Sri Lanka was the final country on my South Asia itinerary. As I arrived there on a sunny April morning sporting my ‘Alibaba’ trousers, a reminder of my recent trip to Rajasthan, I instantly filled with delight at the sight of the busy streets, brimming with a cacophony of colours and smells. Women dressed in sarees, street merchants bickering over spices and freshly caught fish, the hectic sounds of the morning traffic with a thousand of rickshaws and scooters speeding across Colombo, and finally, contrasting with it all, my first destination – the stunning beaches of Mirissa in the South… Sri Lanka turned out to be what I expected and more. 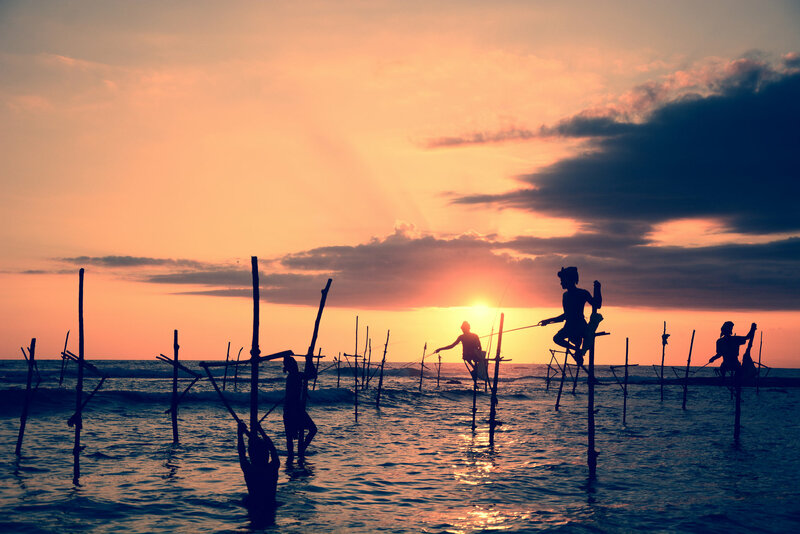 While its culture is similar to India, a country that I’ve always been fascinated with and where I backpacked for 3 months, Sri Lanka’s lifestyle is much more relaxed and slow paced, making it a perfect place to unwind. Having travelled non stop for 5 months prior to my trip to Sri Lanka, I craved nothing more than lazing around by the beach. Mirissa was the perfect choice – at the time of my visit, I was sharing the beach with only a couple of other travellers, and a lot of the time it almost felt like having it all to myself. My mornings were filled with breakfasts by the sea and the soothing sound of the waves – soon after, I travelled to another gorgeous beach destination, a slightly more commercial but nevertheless stunning, Unawatuna. The small town stretched along the crystal-clear coast was my home for over a week. 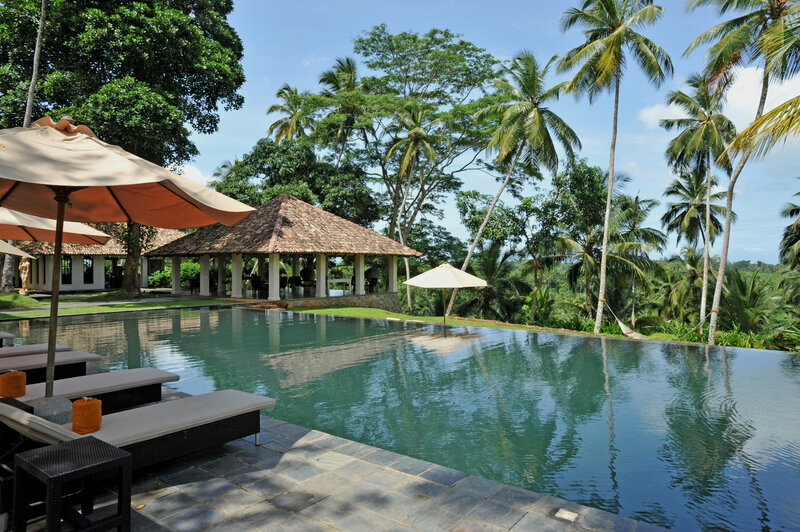 It turned out to be a perfect little gateway to visiting the local slights, like nearby Galle,a coastal town combining the charming mix of Colonial architecture with beautiful Sri Lankan landscapes. 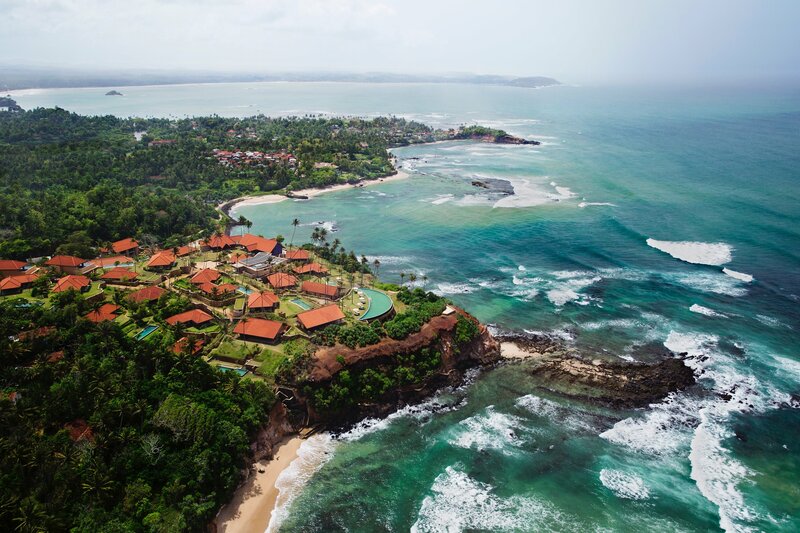 If you too want to experience the charmingly alluring spirit of of Sri Lanka, I have some exciting news for you! 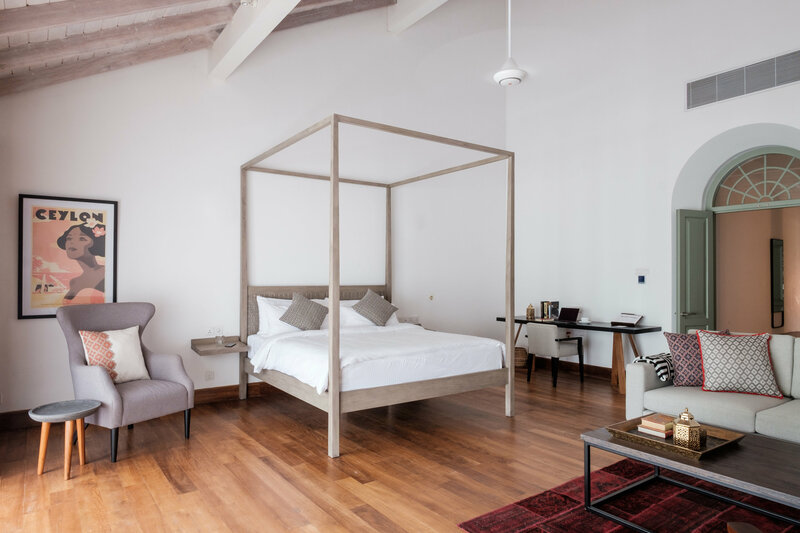 I’m collaborating with Anthropologie who recently teamed up with tailor-made travel provider Black Tomato, offering you the chance to win a luxury trip for two to the island AND £1000 to spend on your getaway wardrobe at Anthropologie. If you love their pieces anywhere as much as I do, then you know this opportunity is too exciting to miss! The concept behind the competition is particularly close to my heart as it’s based on the idea of following your internal compass and indulging in whatever travel experience speaks to you the most, whether it’s relaxation, adventure or submerging in the local culture. 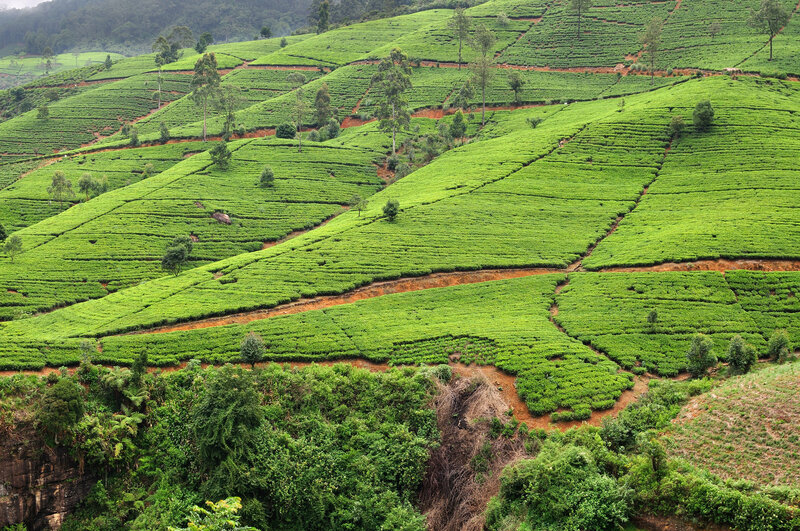 During your Sri Lanka adventure, you’ll relax at the Kahanda Kanda, Fort Bazaar, Cape Weligama and The Wallawwa hotels, discover Galle, and the Handunugoda Tea Estate, plus learn how to cook like a local during one-to-one cooking tutorial in Ahangama. Sounds magical, doesn’t it? The completion closes on Sunday, 24th April 2016 so be sure to apply soon. If it’s our first time packing for a trip to South Asia and you’re not sure what to bring, I got your back! 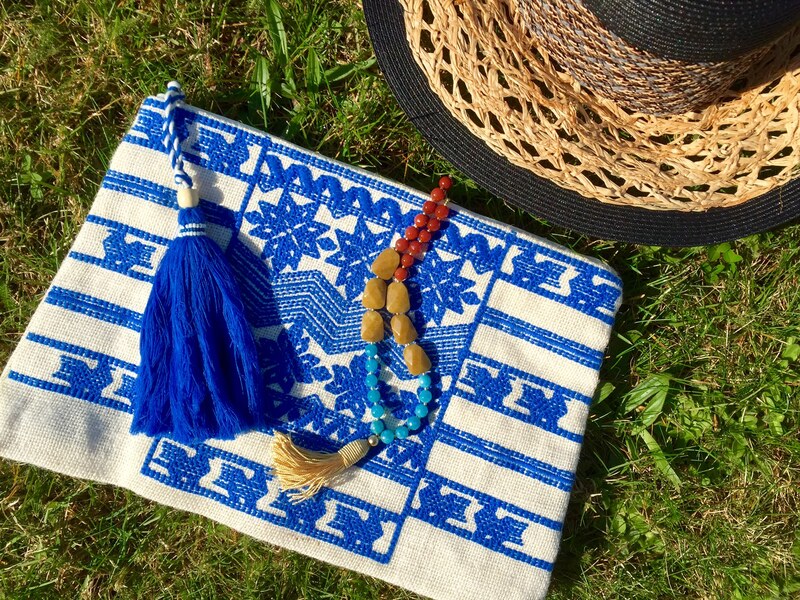 Keep reading to find out my top picks from Anthropologie’s summer capsule wardrobe, perfect for the trip. Packing for a destination like Sri Lanka means that you want to combine comfort and chic with cultural sensibility. You can’t possibly go wrong with a summer staple, a maxi dress. The one from Anthropologie’s latest summer collection is particularly gorgeous, with the colour and design reminding me of my strolls through Colombo’s wonderfully colourful clothing markets. Another must-have is a shawl that can double either as a beach attire or a scarf to cover your arms when visiting places of worship. I love packing versatile pieces when travelling, which is why I also recommend taking a pouch that can double as a cosmetics or makeup bag. I’m absolutely in love with the design of the Anthropologie pouch and trust me when I say it will be my go-to piece for all my summer destinations! Finally, your holiday outfit wouldn’t be complete without a large brim hat which is not only practical, but adds an instant touch of glam, making you look well-put together even on the days when you’re feeling too lazy to tame your locks. Complete your outfit with a pretty necklace (I will be wearing this beauty on my next trip), and you’re good to go! Let me know if you’re planning a trip to Sri Lanka and whether you’ll be taking a part in the competition. To find out more about my Sri Lanka experience, visit Anthropologie’s blog, featuring an interview with yours truly. This post was written in collaboration with Anthropologie, one of my favourite clothing brands. All opinions are my own. These set of photos look incredible. Sri Lanka isn’t often talked about in the travel world but I imagine it’s a beautiful country with an inspiring culture.